Professional Integrity and Library Workers: What’s the connection? Library workers often find themselves on the frontline of battles over everything from the individual right to privacy to fundamental issues of intellectual freedom. The role professional integrity plays in the lives of library workers is both crucial and often not understood by the public. This program will examine the notion that professional integrity is not only important to the professional library worker but also directly impacts the public and communities served. The importance of defending professional integrity from external pressure has gained prominence across a wide range of sectors and professions. 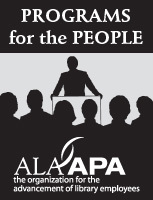 To that end, ALA-APA and ALA are both part of Professionals for the Public Interest: Associations and Unions Defending Professional Integrity, a coalition of professional associations and labor unions working to address challenges to professional integrity that will also be discussed in this panel. What is a union? How do you form a union? How are unions working to support and protect library workers today? In 2008, the Bureau of Labor Statistics found in their Union Members Summary that workers in education, training, and library occupations had the highest unionization rates for any occupation group. Nearly 39% of workers in this occupation group were members of a union. This session will provide an opportunity for library workers to hear about the modern labor movement and successes on behalf of library workers, while also providing a forum for those questions you always had about organized labor but didn’t know where to ask. We hear so much about the negative stereotype of how library staff look and dress. This program will take a positive spin on those oft-depicted items in the library employee closet – focusing on enhancement rather than change. It will also go deeper into our image, about what we “say” to others through not just our clothing, but our posture, communication styles and general “vibe.” You will leave the program rejuvenated and excited about new ways to let your light shine without plastic surgery, couture designers or hypnosis. Come one, come all for this discussion laced with best practices about how to deal with your current employment situation. You are asking yourself and others are asking you why you unemployed or unhappily employed. While you’re trying to answer this question, there are hundreds of other questions plaguing you about what you do next. And thinking about all those questions can engender a feeling of helplessness when you know you have to move from thought to action. At this program, we want to talk about how to be reflective, courageous, motivated and well-prepared as you shift into the next phase of your career. 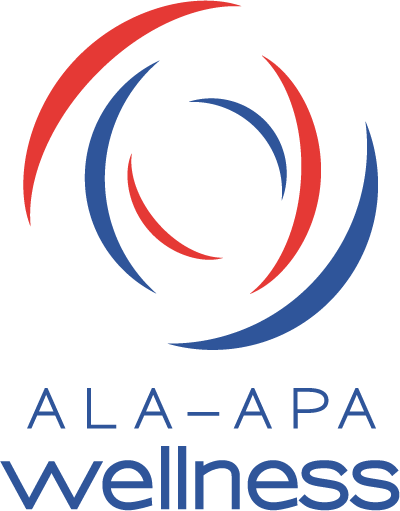 ALA has developed a national, voluntary Library Support Staff Certification Program (LSSC Program). The program is focused on skills that public and academic library support staff have or need. This is an exciting time and we look forward to your attendance to learn more about this opportunity. Do you have expertise in one of the following areas? If so, you may want to become an evaluator of online portfolios for candidates in the Library Support Staff Certification (LSSC) Program. At this program, learn about the LSSC Program, portfolio evaluation rubrics, and how your help benefits the profession. For more information, see http://www.ala-apa.org/lssc/portfolioevaluators.html. Anyone, regardless of age, gender, race, ethnicity, or socioeconomic status can suffer from depression. No job category or professional level is immune. Every year, 9.5% of the population, or about 19 million American adults, suffer from a depressive illness – and there is a strong link between depression and other chronic illnesses. The economic cost of this is high, but the cost in human suffering is incalculable. Much of this suffering is unnecessary. There ARE solutions and libraries have a key role to play in promoting awareness. This program will address the signs, symptoms, causes, and effects of depression, as well as treatment options and holistic approaches to achieving and maintaining mental and physical health. Co-sponsored by AILA, APALA, REFORMA, and BCALA. Negotiation – What else is on the table? If we were playing Family Feud, the survey would say that salaries are number one when the topic is compensation. But there are many other elements of compensation that you may not think about when you are accepting a position or promotion – and some of those are also negotiable. You will learn the basics of negotiation for all aspects of the compensation package, from what to ask to when to ask to how to respond to the outcome. Speaker(s): Paula Singer, Principal, The Singer Group, Inc.; Laura Francisco, Consultant, The Singer Group, Inc.